Th!nkBIM™ provides ongoing technical information and resources to maximise your technological investments in BIM and its impact within the Architecture, Engineering and Construction industries. Matt Rumbelow brings a deep understanding of the challenges and opportunities that Building Information Modelling (BIM) can bring in practice. Having worked with global BIM software providers such a Trimble, Solibri, Newforma and Autodesk, Matt is uniquely placed to identify partnerships and develop strategies that leverages the potential of BIM across entire industries. 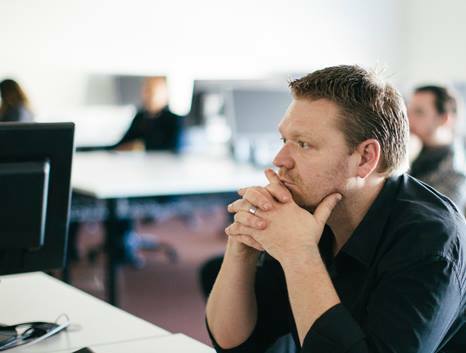 Having previously worked for architectural practices both in London, Melbourne and Adelaide, Matt taught Digital Design Technologies at the University of South Australia from 2001 until 2005. In 2007 Matt joined Woodhead International, one the largest architectural practices in Australia as Group Coordinator for Building Information Modelling. Currently based in Adelaide, Matt’s sought after abilities have seen him work across many regions, including Australia and New Zealand, United Kingdom, America, Vietnam and China. As a graduate of architecture, Matt has a deep passion for digital innovation and application of BIM to enhance outcomes in design and delivery. He has most recently worked within various global BIM software companies and has a deep understanding of the opportunities and limitations within this context. His impartial understanding of this context provides unprejudiced and informed advice on current and currently advancing BIM solutions. Matt has a tenacity to bring the architecture, engineering and construction sectors together on all matters related to software advances and new technologies, Matt brings a deep understanding of the challenges and opportunities that Building Information Modelling (BIM) can bring in practice. Matt is able to levarage a global contact base across the construction industry – from software vendors to user group leads and global conferences – to provide advocacy and strategic consultancy across the AEC/O industry.